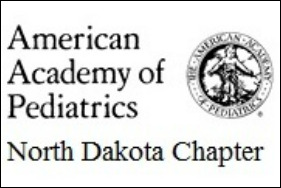 Since November of 2003, Kylie has been the executive director of the North Dakota Chapter of the American Academy of Pediatrics. A native North Dakotan, shegrew up in a rural community where her father was a farmer and her mother worked in pediatrics at Altru Health System in Grand Forks. She has her Bachelor of Business and Public Administration degree in information systems from the UND College of Business, is a certified Health Information Technology Workflow Redesign Specialist, and is currently working on her Master’s in Public Health. She has been actively involved in showing horses and barrel racing since 1988. Kylie is married and has one beautiful daughter.